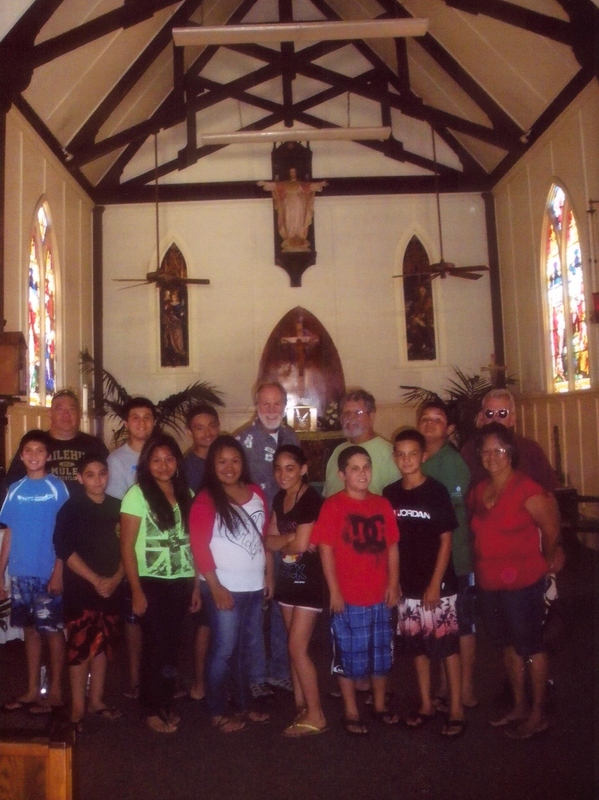 The Hamakua Catholic Community invites all baptized girls and boys to serve at the table of the Lord. Altar Serves are important in facilitating our Eucharistic liturgies in a regular and reverent manner. Serving the people of God while we worship in the church is a way of growing closer to God. We cannot see God. But when we do something for God's people, we give worship and honor to God and encounter the living God. Altar Servers wear an alb, the robe of baptism, which is a sign of their position in the community as baptized people. Serving at the Altar is a special privilege. Altar Servers are close to the altar as they celebrate with the priest, the deacon and the entire community. Among other duties, they light the altar candles that symbolize Christ as the light of the World; they carry the cross to signal the start of the Liturgy; they prepare the altar for the Eucharist and present the missal to the deacon or priest; they ring the bell signaling the consecration of the body and Blood of Christ and, finally clear the altar and lead the procession at the end of the Liturgy.